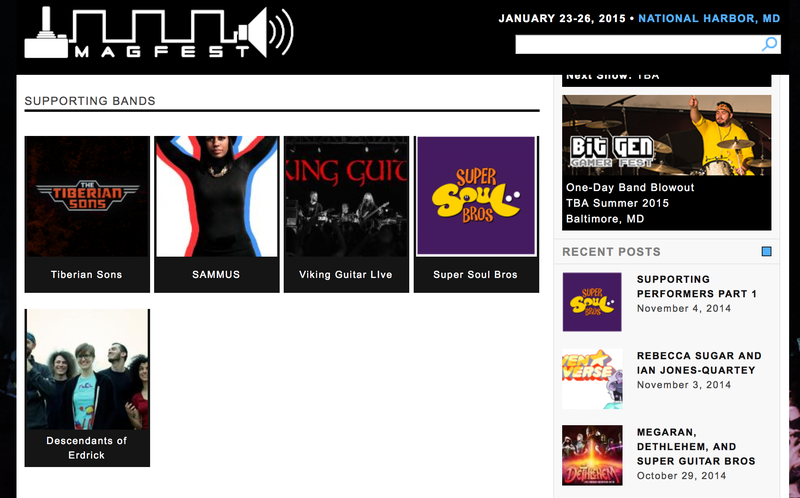 January 23-26, 2015 I’ll FINALLY have the opportunity to head down to National Harbor, MD [just a few minutes from Washington D.C.] to perform at MAGFest, a four day long party dedicated to the appreciation of video game music, gaming of all types, and the gaming community. I’ll be one of a slew of amazing supporting bands like Descendants of Erdrick and Super Soul Bros among others. Headliners include folks like the mighty Mega Ran so you know it’s going to be a good time! Click HERE for more info on the other performers, and click HERE to find info about MAGFest more generally. I hope to see you there!